1. 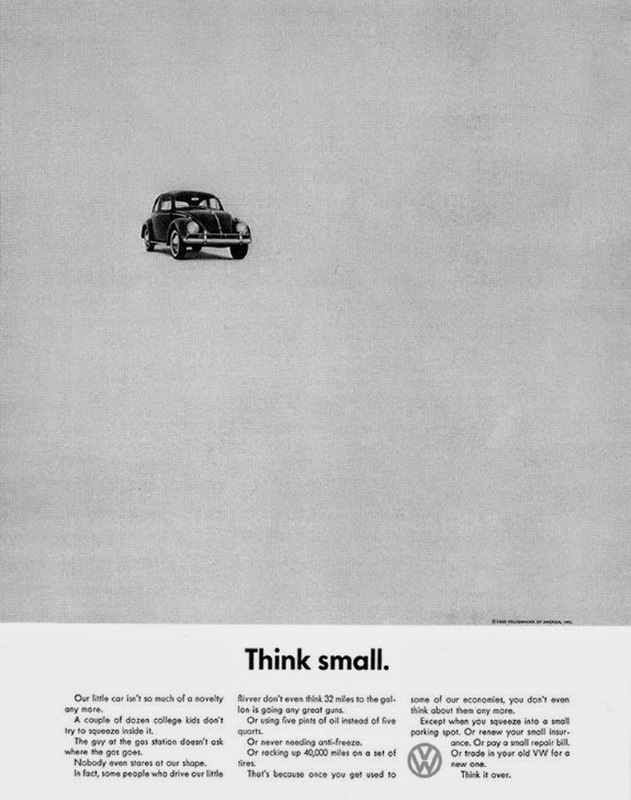 Think Small campaign of Volkswagen Beetle (1959): was created by Helmut Krone with the copy written by Julian Koenig DDB agency. It was ranked as the best advertising campaign of the twentieth century by Ad age in a survey of North American advertisements. The campaign has been considered so successful that it "did much more than boost sales and built a lifetime of brand loyalty”. The advertisement, and the work of the advertising agency behind it, changed the very nature of advertising. The message is "less is more" message geared toward car buyers. Like the VW Beetle the advertisements were simple and uncluttered, featuring photos of the car against a plain background. Can one sell a car with a headline that reads "Lemon”? Sure! In the advertisement, Volkswagen was pointing out that the car in the photo didn't make it off the assembly line because one of the many inspectors found a blemish. "We pluck the lemons; you get the plums," was the slogan. 2. The pause that refreshes campaign of Coca-Cola (1929): This campaign was designed and executed by D'Arcy Advertising Co. With the advent of the great depression corporate America worried that sales would suffer. 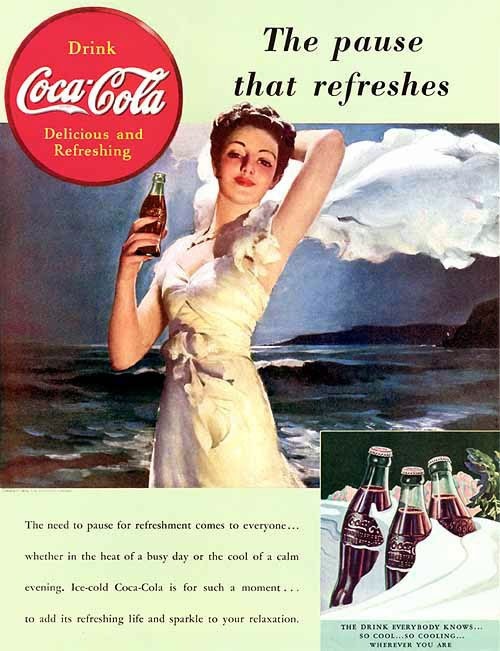 Not so with Coca-Cola whose advertisements depicted carefree people and an idealized view of American life when real life was rather dreary. During the first year of the campaign, sales actually doubled. The economy may have been depressed, but "the pause that refreshes" appeared to have been just what Americans needed to lift their spirits. 3. The Marlboro Man campaign of Marlboro cigarettes (1955): The Marlboro Man was first conceived by Leo Burnett. In the United States, where the campaign originated, it was used from 1954 to 1999. The image involves a rugged cowboy or cowboys. The advertisements were originally conceived as a way to popularize filtered cigarettes which at the time were considered feminine. The Marlboro advertising campaign, created by Leo Burett Worldwide is said to be one of the most brilliant advertisement campaigns of all time. It transformed a feminine campaign, with the slogan "Mild as May", into one that was masculine, in a matter of months. Although there were many Marlboro Men, the cowboy proved to be the most popular. 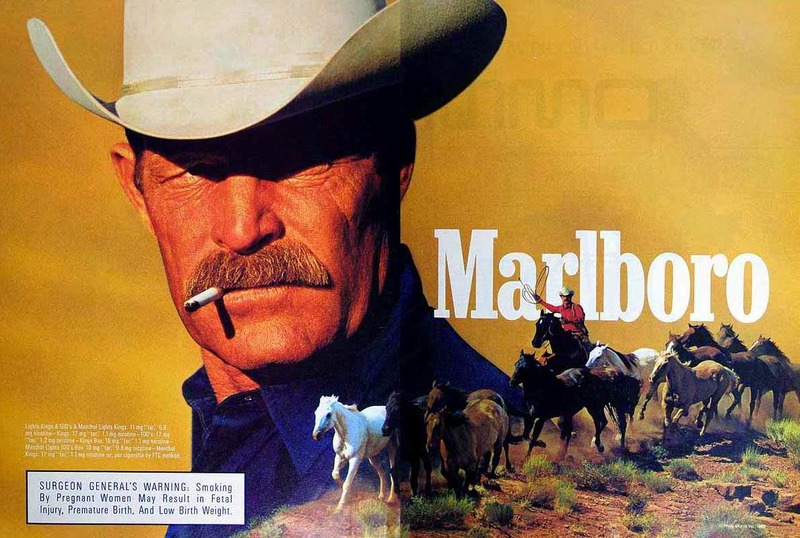 This led to the "Marlboro Cowboy" and "Marlboro Country" campaigns. 4. Just do it campaign of Nike (1988): The founder of Wieden Kennedy agency, Dan Wieden credits the inspiration for his "Just Do It" Nike slogan to Gary Gillmore’s last words. 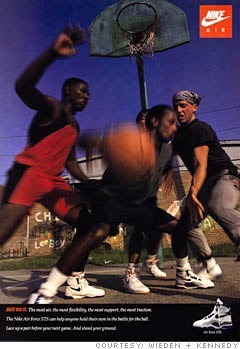 Dan Wieden met a group of Nike employees to talk about a new advertising campaign, he told them, "You Nike guys . . . you just do it." The result was one of the most effective taglines in advertising history. During the first ten years of this award-winning campaign, Nike's percent of the sport shoe market shot up from 18 to 43 percent. Today, the Nike name is so recognizable that it doesn't even need to appear in the advertising. Only the iconic "swoosh" is needed. 5. 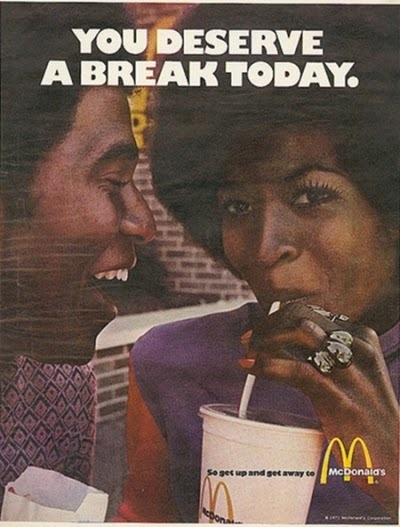 You deserve a break today campaign of McDonald (1971) Needham, Harper & Steers advertising agency successfully pitched an upbeat, catchy slogan to McDonald but they struggled with the lyrics. Noticing that the word "break" continuously surfaced in focus groups, copywriter Keith Reinhard finally wrote the perfect lyrics for the jingle “You deserve a break today”. Within the next few years, global sales jumped from $587 million to $1.9 billion. The song was named the top jingle of the 20th century by Advertising age. 6. 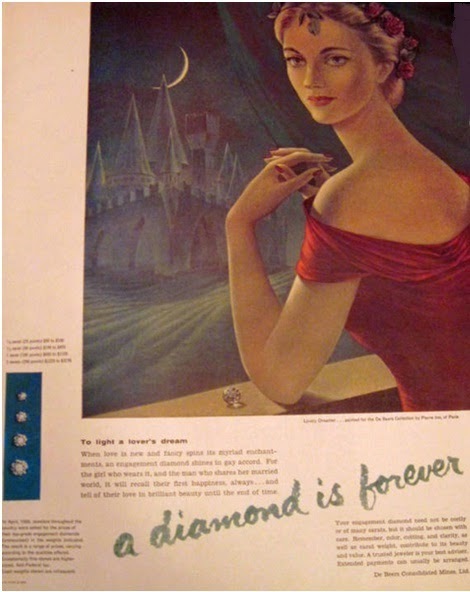 A diamond is forever campaign of Debeers (1948): De Beers pioneered the iconic positioning of diamonds in the contemporary culture, as a symbol of everlasting love because just like true love, a diamond is forever. A young copywriter working for N.W.Ayer & Sons Frances Gerety, coined the famous advertising line "A Diamond is Forever". Frances Gerety, was working with De Beers and was given a brief to compose a line that encompassed and expressed the physical attributes and legends surrounding the diamond. She came out with a sentence which would later be voted as the most iconic advertising slogan of the 20th century. From then onwards the diamond became an integral part of the modern-day ceremony of love, engagement and the celebration of enduring relationships. Through De Beers the diamond has come to speak a universal language, conveying its messages of love, rarity and desire. 7. Absolut Vodka campaign by V & S Group (Pernod Ricard) (1981): Ad agency N.W. Ayer ABH International’s Mr. Broman presented a concepts that would later become a familiar pattern, "Absolute Pure Vodka." The provocatively simple bottle design, inspired by a 19th-century apothecary bottle, bore the brand name as well as a substantial block of copy, explaining the origins of the product, applied directly to the clear glass. Ayer CEO Jerry Siano got the credit for being the first to recognize the full potential of the name "Absolut." Mostly for legal reasons, but encouraged by Mr. Siano, the Swedes decided to change the name, dropping the "e" from "Absolute" as well as the "Pure," which was seen as redundant. 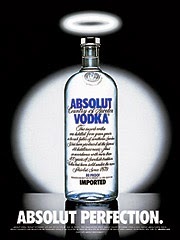 The brand thus became "Absolut (Country of Sweden) Vodka." It is, of course, known by the shorter "Absolut vodka." 8. 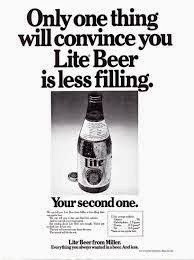 Tastes great, less filling Campaign of Miller Lite Beer (1974): The campaign was developed by the advertising agency McCann-Erickson Worldwide. This campaign peppered with ex-jocks contained more than 200 commercials, and its lively debate entertained sports fans for nearly two decades. Is Miller Lite good because of the taste or because you can drink a ton of it and still have room for nachos (potato chip)? During the first five years of the campaign, sales of Miller Lite took off from just under 7 million barrels a year to more than 31 million barrels, breaking the all-time record for beer makers. 9. 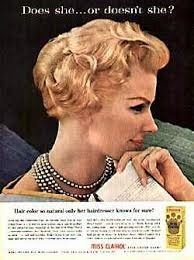 Does she or doesn’t she: Campaign of Clairol (1957): FCB copywriter Shirley Polykoff wrote a simple advertisement for Miss Clairol Hair Color Bath. The headline questioned, provocatively, "Does she . . . or doesn't she?" The answer: "Only her hairdresser knows for sure." With the appearance of that advertisement, the market for hair coloring took off: 50% of American women started coloring their hair, and sales of hair coloring products jumped 413% in six years. FCB and Ms. Polykoff followed up in 1957 with a campaign that used the slogan, "Is it true blondes have more fun?" Clairol's next hit came with Loving Care, a new hair color designed to cover gray hair. The tagline, "Makes your husband feel younger, too, just to look at you," suggested that it was all right for women to color their hair to please their partners and also that men liked being associated with newly rejuvenated wives. 10. 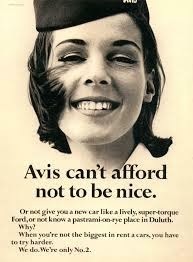 Avis we try harder campaign by AVIS (1963): DDB the advertising agency came up with one of the most controversial and revolutionary campaigns for Avis. The first print advertisement, designed by DDB art director Helmut Krone with copy by Paula Green, appeared in March 1963. It was headlined, "Avis is only No. 2 in rent a cars. So why go with us?" The body copy began, "We try harder. (When you're not the biggest, you have to.)" A storm of controversy followed, with criticism heaped upon both Avis and DDB for their tacit admission that Hertz led the field. But the delayed reaction was markedly positive as a series of "We're No. 2" ads issued forth from the DDB idea factory. Avis' share of the market increased by as much as 28%, and Avis came to be considered a co-leader with Hertz in the field. "We try harder" became a pop culture mantra.